Holli Chapman and Sophie Jane Knott have developed into two of Alabama’s most impressive sophomore runners. Photo special to the Journal. If not for her close friend Sophie Jane Knott, Holli Chapman might never have become a part of the Mountain Brook girls track and field team. Chapman’s decision has paid off. If the Lady Spartans win their first indoor state championship in four years, it could well be because of the efforts of Knott and Chapman, who have developed into two of Alabama’s most impressive sophomore runners. Knott – the great-niece of former Mountain Brook coach David Knott – has produced a time of 59.98 in the 400-meter run, currently the fourth-best time in Class 7A. Her personal best at the pole vault is 10-6, the second-best height in Class 7A this season. Chapman has run the 400 meters in a time of 58.70, currently the third-best time in Class 7A. She’s also completed the 60-meter run in 8.06, good for seventh in the state. Her best distance in the long jump is 15-7, presently the eighth best in Class 7A. Both excel in the 4×200 and 4×400 relays. With the state meet coming up at the Birmingham Crossplex on Feb. 3-4, both girls believe their team has a shot at winning the blue championship trophy that arch-rival Hoover has owned for the past three years. Both girls run outdoor track for the Lady Spartans as well as indoor and say there are differences in preparation for the respective venues. 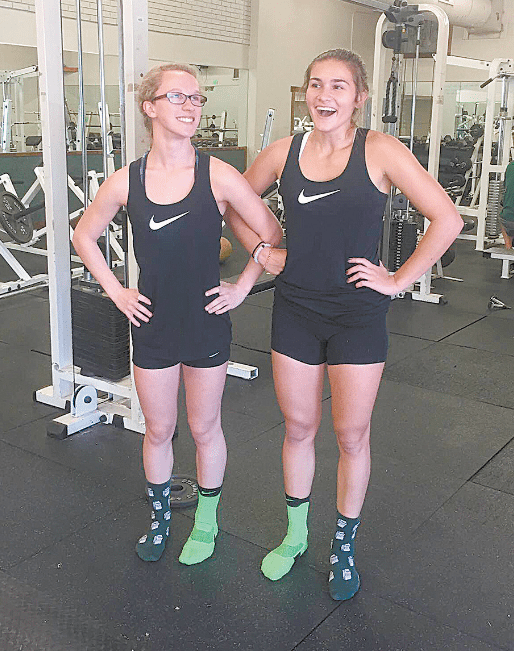 Although much of their high school careers are still ahead of them, both Knott and Chapman have a deep appreciation for Mountain Brook’s great tradition in girls track and field. Knott added that maintaining that tradition comes with a price. Another key to Mountain Brook’s success will be senior Anna Grace Morgan, whose older sister Madeline also was a star runner for the Lady Spartans. Chapman said the underclassmen on the team are grateful for the leadership of their older peers. If the Lady Spartans claim the indoor title, it could well be because Sophie Jane Knott and Holli Chapman learned their lessons well.